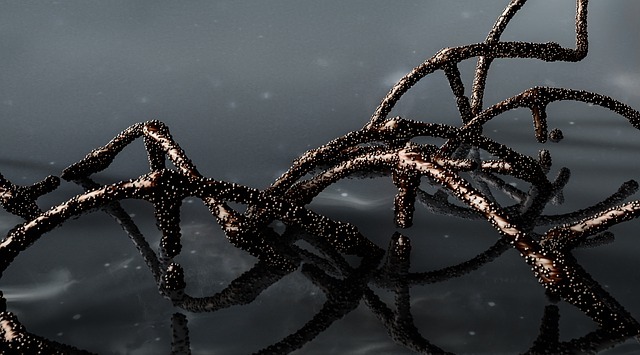 A new study from Northwestern University has established that small RNA molecules trigger cancer cells to self-destruct. On mice bearing human ovarian cancer, these molecules slowed down tumor growth without causing any side effects. Researchers believe the discovery could usher in a new way to treat cancer. As a dreadful disease cancer is one of our most persistent enemies, characterized by abnormal growth and division of destructive cells to tissues and organs in the human body. There are more than 100 cancer types that affect humans, but thanks to advanced methods of diagnosis, cancer survival rates are becoming more promising than ever before. That said however, compared to advances made in the field of detection, progress treatment-wise is simply not there. Traditional treatments like chemotherapy and radiotherapy are notorious for their side effects, and even the newer immunotherapy is not devoid of ill effects. In this regard, a team of researchers from Northwestern University (NU) recently announced a discovery that could be used as a new approach in the fight against cancer. Based on the team’s research on the subject, they believe small RNA molecules, which play a crucial role in many cellular processes, could trigger tumors to self-destruct through a mechanism hidden in every cell that forces them to commit self-destruct. Lead study author Marcus Peter, a Tom D. Spies Professor of Cancer Metabolism at NU Feinberg School of Medicine and a member of the Robert H. Lurie Comprehensive Cancer Center of NU, said this an ancient “kill switch” technique buried in the genome that has been developed since life turned multicellular. But to find the hidden mechanism in these molecules proved quite difficult. In fact, Peter and his team spent eight years of research on the subject. Reason being is that RNA molecules, originally developed as a means of studying gene function, become active only at the exact moment a certain cell turns cancerous. This important factor prompted the team to turn their attention toward (si)RNA, small interfering class of double-stranded RNA molecules whose original purpose is to suppress the gene they were originally crafted from. Knowing that the human genome carries some certain sequences, when researchers let this kill-switch sequence be converted into si(RNA), they noted the convergence triggered that “self-destructive” mechanism which pushed the small, double-stranded RNA molecules to not only suppress three genes that cancer relies on, but also kill cancer cells through DISE (Death Induced by Survival gene Elimination). To test if the newly found trigger could indeed be efficiently used against cancer, Peter and team then collaborated with NU urology professor Shad Thaxton. Nanoparticles which carried the RNA molecules were injected into mice with human ovarian cancer. Results indicated a significant slowdown in tumor growth, without causing any toxic side effects or signs of the cancer developing resistance to the molecules. Perhaps, the most important discovery here is that the cancer cells treated with RNA molecules never developed or became resistance, which researchers claimed is a first. They believe this happened as a result of molecules simultaneously eliminating multiple genes needed by the cancer cells to survive. “This could be a major breakthrough,” noted Peter, adding the “findings could be disruptive”. If the findings through additional tests will continue to prove successful and progress towards human trials, they could be the solution that has been alluding scientist for decades. It goes without saying that the potential for a new form of cancer therapy will be welcomed news for the millions of people effected by the dreaded disease. The research was published in the journals eLife and OncoTarget.